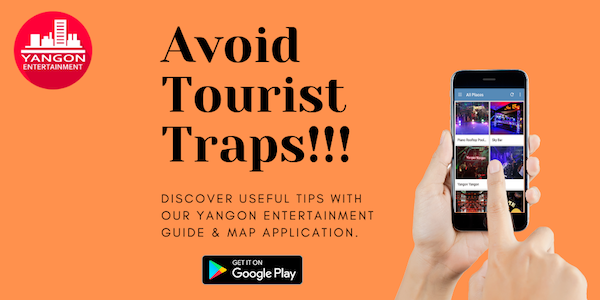 Normally, I avoided low cost massage spa in Yangon as I afraid of poorly trained masseurs. If you want to know what are the risks of getting massage service from poorly trained masseurs, you should read this post: Danger of poorly trained masseurs. But for Yangon Eyes saloon and Spa, it is near to my office and I saw their promotion post on Facebook very often, so I wanted to try it’s service. 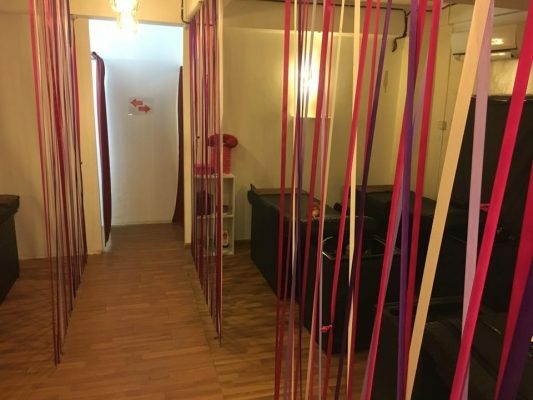 And frankly saying, it is mid of the month and I am on budget, so that it is better to try budget massage spa then luxurious one. They are on promotion period, you can get 1 hour of body massage+ feet soak and wash+ Hair washing (shampooing) with 9,500 MMK. The original price for these combination is around 14,000 MMK. It attracted me a lot. But I just skipped out of the office for this, so I didn’t take hair washing as I have to go back to the office. It is located in Sanchaung Township, Maubin Street. If you go inside, staff (girls) are sitting at the reception and you can ask for massage. Staff are friendly, but they are too much talkative to each other. (There is a soft music opening, but staff are also playing music from the mobile phone. It is quite annoying.). I think this place is registered as a beauty saloon and not as a massage spa, so there are no massage bed. Instead of massage bed, you will get massage on the shampoo bed. It is not comfortable to get massage on the shampoo bed as it is quite narrow. You and masseur have to be on the bed, there is only a small space for masseur to perform their services, so they cannot apply their full force on you. And their movement is also limited. The touch is very important for good massage, but I can feel that her touch is just normal, her griping my legs and hands is not a skillful masseur’s grip and touch. May be it was my unlucky day to be assigned with unskillful staff. The worse part is feet soak and wash. I am very fancy about foot massage and foot spa. So I had foot massage and spa then body massage. I have experienced of having good foot massage in most of the spas in Yangon. But this place is totally different. I was asked to sit at foot spa chair, then the girl bring a bowl of hot water. But I appreciated that it is well prepared with floating flowers. But, but, she asked me to dip my leg into this bowl for 10 minutes. I did it according to her instruction. After 10 minutes, she came to me, just dry out my leg with tower and brush my feet for a minute. There is no massage or proper brushing. Normal price for this feet soak and wash is 3,000 MMK. May be I was on promotion, so that they didn’t provide full service. I don’t know. 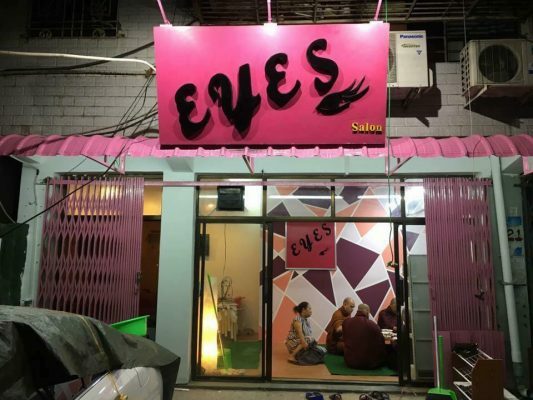 I think that they can skill up and improve their services to the next level as Yangon Eyes saloon and spa named is already known by most of the locals. But I appreciated that they tried to improve their services because I have read a lot of bad comments on their Facebook page review last year. Most of the comments are related to the staff (likes too much talking during duty time, or girls are wearing revealing clothes and not suitable for family group). This spa is providing purely traditional massage service and hair treatment, you cannot get extra service and even cannot get oil massage. To conclude, I hope that they will improve their service by time. But 9,500 MMK for 90 minutes is good for budgeted person and locals. You cannot get 1 hour massage service with less than 10,000 MMK in other places.